I spent one year working in the Wetland Ecology Laboratory under Dr. Eliska Rejmankova at U.C. Davis during my senior year of undergrad. There I spent my time assisting two Ph.D. students, Jenise Snyder and Heather Carpenter with their research. Jenise studied the effects of nutrient enrichment on belowground interactions in roots and rhizomes of wetland plants in Belize. I helped her by preparing her samples for nutrient analysis. 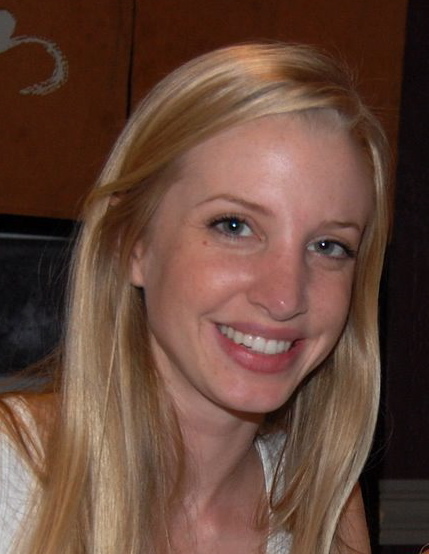 Heather Carpenter studied the biogeography of the California bulrush, Schoenoplectus californicus. She collected its rhizomes throughout its range in the US, Central America, and South America, and sent them back to the lab in Davis where we planted them, hoping to grow them into full plants for her later experiments. Pelagic Organism Decline (POD) project – I identified the gut contents of larval fishes from the Sacramento-San Joaquin Delta. Gut contents were mostly comprised of copepods, amphipods, cladocerans and other small invertebrates. DFG biologists were hoping to use the data to determine if there was a shift in diet contents over time that might help to explain the decline of particular species of fishes. 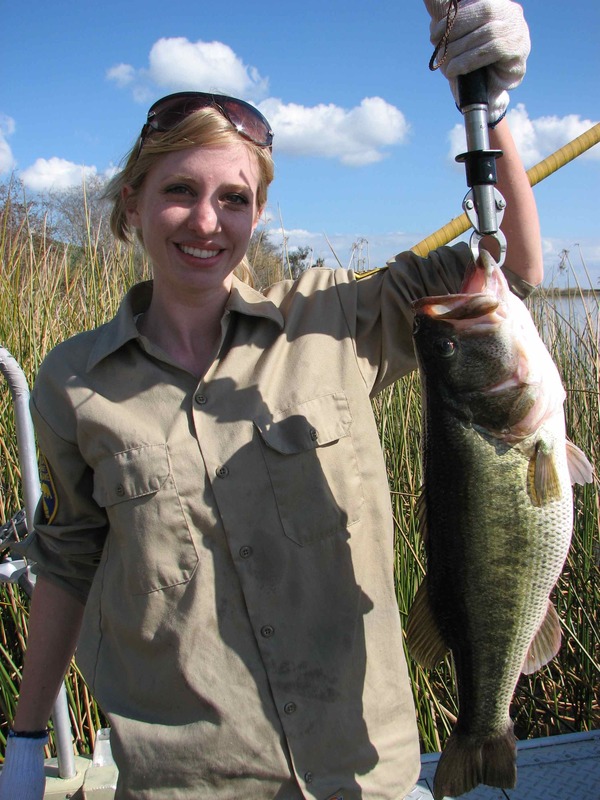 Striped Bass Tagging – DFG tags a large number of striped bass with reward tags every year. They hope that when a fisherman catches a striper with a reward tag, they will call DFG to claim the reward, and in turn provide information about the fish that they caught. I became a master tagger during this project, as our team at times was tagging 500+ fish a day. A: My interests lie in ecology, and any number of systems can provide the stage for investigating ecological questions. Most of all, I knew I wanted to work in a system with water, and it didn’t matter whether it was aquatic or marine. I applied to a number of graduate schools where I would have worked in either wetland or marine systems, but Moss Landing Marine Labs really appealed to me, and that’s how I ended up here. A: I spent a lot of internship and volunteer hours discovering what I wasn’t interested in during my undergraduate career. For a good deal of time as an undergrad I was working toward veterinary school, until I discovered through experience that it wasn’t the kind of science that I was really interested in. My time in the Wetland Ecology Lab, and some great field ecology classes at U.C. Davis really opened my eyes to my love of ecology. Working at Fish and Game reinforced my interest, and compelled me to start working my way up in the field by applying to graduate school. A: I am studying the associations between the kelp Undaria pinnatifida and native fishes in Central California. I’m really interested in the interactions between organisms and their habitat, especially habitat that is created by other living things. I like to study these interactions in aquatic and marine systems, as I have a real love for water. I found the California kelp forests a fascinating system, and I originally thought about studying the interactions between kelp forest organisms and the giant kelp, Macrocystis pyrifera. However, the California kelp forests are an extremely complex system, with such a huge web of interactions that sometimes it’s hard to tease them apart and understand what is really going on! Then I was introduced to Undaria, which ended up being the perfect study organism for me. Undaria is an invasive kelp, and in fact it is the only invasive kelp in the world. It is native to the coasts of Southeastern Russia, Japan, China and Korea, but has now spread to locations worldwide. It was first found in Monterey Harbor in 2001, and was found in May of 2009 in Half Moon and San Francisco Bays. Luckily for me, Monterey Harbor is a pretty simple environment, with fewer kinds of seaweeds and critters living in it, making it simpler to study the interactions taking place. When I first started getting familiar with Undaria, I noticed that a lot of native fishes seemed to live in it and use it as habitat, even more than the other types of seaweed in the harbor. This piqued my curiosity, and led me to ask questions such as “what kind of fishes use Undaria for habitat?”, “do fishes use Undaria more than other kinds of seaweed in the harbor?”, and “why do fishes use Undaria instead of other kinds of seaweed in the harbor?”. To answer these questions, I started a monthly sampling project in which I sampled the fishes in both Undaria and other types of seaweed in the harbor. I think it’s interesting to study Undaria and its associated fishes because it offers a chance to look at a novel kelp, and how organisms use a type of habitat that they might not be familiar with. Understanding habitat interactions in a simple environment such as the harbor can also give us a better idea of the interactions taking place in more complex environments like the giant kelp forests. In addition, it is important to understand how native organisms interact with invasive organisms, and my study will hopefully give light to the impact of Undaria on native communities. A: When I graduate I would really love to teach at a community college. I’ve always enjoyed teaching and sharing science, and I’m looking forward to the chance to do so. Since most community college teaching positions are part time, I’d love to spend the rest of my time working in a field research position. A: I think the most challenging aspect of graduate school is need for self-discipline. Thesis projects don’t have deadlines like classes do, so it is up to you to move forward with your research and get things accomplished. If you’re a procrastinator like me, this can be tough. I find graduate school rewarding because of all of the amazing opportunities it provides. As an undergrad I didn’t dream I would be doing what I am now. A: Intern, volunteer, and explore! If you think you might be interested in marine science, look for any opportunity that might get you some experience in the field. That’s the only way to know if it’s for you.